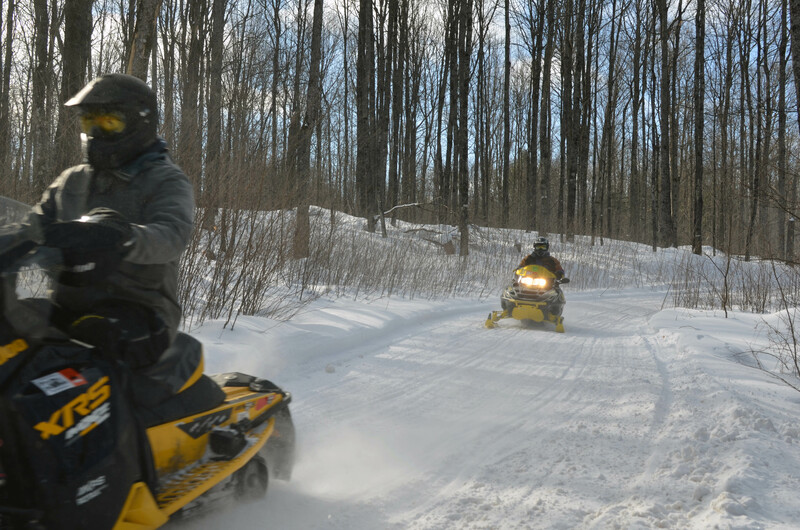 The Michigan Department of Natural Resources is urging snowmobilers not to use loud exhaust pipes or cans and is reminding riders that laws against loud machine violations will be enforced strictly. Several of these complaints have led to private property owners revoking their permission to route snowmobile trails across their land. Under Michigan law, the muffler on a snowmobile must be in good working order and, when in constant operation, noise emission cannot exceed 88 decibels at 13.1 feet, as measured using the 2004 Society of Automotive Engineers standard J2567 for a stationary snowmobile manufactured after July 1, 1980. The penalty for violating sound levels for snowmobiles is a civil infraction, carrying fines of over $200. Snowmobiles may be impounded. DNR conservation officers are seeing increased use of “trail can” exhausts. Whether riding on or off trails, the DNR urges snowmobilers and dealers to use stock or original equipment manufacturer exhausts. Hand in hand with complaints about loud sled violations are private property trespass complaints. The DNR suggests off-trail riders “know before they go” making sure the property they will be riding on is public. A committee was formed recently to develop information indicating exactly where it is legal to ride off-trail. The goal is to eventually have off-trail riding opportunities signed and mapped. Until these developments occur, it is crucial that snowmobilers ensure they are off-trail riding only on public lands. For more information on snowmobiling in Michigan, including current laws and regulations, go to michigan.gov/snowmobiling. Snowmobiles: Two snowmobilers enjoy a sunny afternoon along a trail in Gogebic County.